AirAsia India is an Indian low cost airline based out of Chennai, India. 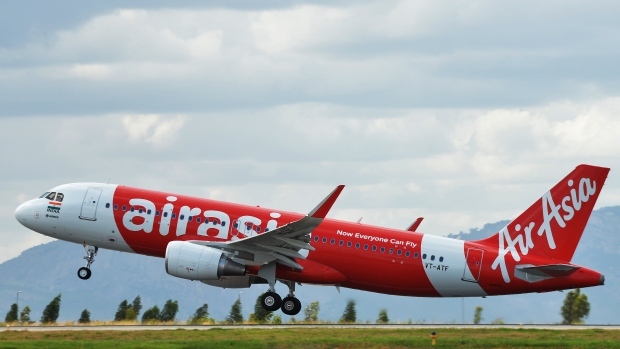 The airline is a joint venture of Malaysia's AirAsia Berhad, Tata Sons and Arun Bhatia. Air Asia India Airlines started its flight operations on 12 June, 2014 with Bengaluru as its primary hub. All of AirAsia domestic flights in India are operated by AirAsia (India) Ltd.
AirAsia is one of the best low cost airlines in the world. With this airline passengers have a chance to explore over 120 destinations in Asia and Australia with everyday cheap flight ticket deals from Farehawker. Now anyone can book cheap flights ticket to Penang, Singapore, Hong Kong, Chennai and more! AirAsia India ticket bookings can be done at FareHawker in 3 easy steps and after booking you can easily access AirAsia India booking information here on Farehawker with ‘Manage my Booking ‘option. You can login into your free account and get the AirAsia India flight status and flight schedule easily. Just enter your PNR number and booking reference number to get the details along with passenger last name. You can even use passenger additional information such as city of origin and destination along with the flight number to get all the itinerary details. Passengers can even web check-in online for your AirAsia India tickets 36 hours to 90 minutes before the departure of your flight. AirAsia India - Low Fares, Hassle-Free, Low-Cost Airlines, Online Flight Ticket Bookings India, Discount Airfares, Domestic Airline Tickets India. AirAsia India offers cheapest flights, deals and hassle-free operation! Budget airline AirAsia India currently operates a fleet of Airbus A320-200 aircraft. AirAsia India serves all domestic routes with a total of 13 aircrafts. Usually international departures ex. India all the fare provided are inclusive of 20 kg baggage and seat allocation. Alternatively, guests may also purchase 15 kg baggage for both domestic and international flights. Don’t delay your travel plans anymore. Just get your cheap flights tickets now at FareHawker and be onboard with AirAsia India to explore India. Book tickets for 10 travellers or more with the world's best low-cost airline AirAsia India by FareHawker flight Group Booking desk. We offer AirAsia India Airlines group fare facility for all travel portal, travel agencies, corporate & tour operator. Our ex-airliner team members are expert in handling small or large segment of Group Bookings. AirAsia India Airlines Flight Lowest Group Fare - Buy Group flight tickets with Farehawker for booking domestic airlines group tickets on discounted fare. We are the largest consolidator for Group Air tickets in India. How to book Group Tickets in AirAsia India Flight ? Any traveller, corporate, travel agency or individual can directly mail to FareHawker GroupDesk team by asking for AirAsia india Airlines flight group fare. Our group booking expert will get back to you on the same trail within 4 hours. Air ticket booking available at lowest airfare for AirAsia India Airlines at affordable prices at Farehawker. AirAsia flight online booking - Book AirAsia Airline ticket online at lowest air fare at FareHawker. Get best offer for AirAsia India Airlines, the world’s best low-cost airline flying throughout India. Book AirAsia India Airline tickets with Farehawker as we offer the best-in-class fare options for all types of airline bookings. Our dedicated ex-airliner team with their in-depth industry knowledge offers you the cheapest possible fares for domestic as well as international travel. We take pride in our relationship with the airline partners and it is this relationship that allows us to offer you great travel solutions. We are here not only to find the best flights at cheap airfares but also to offer you consolidated travel services so you enjoy a seamless travel experience. Visit AirAsia India FAQ for all related queries. Terms and condition of Farehawker and AirAsia India apply.